COVINGTON – St. Tammany Parish Hospital added Synaptive Medical’s Modus V™ innovative robotic technology to its neuroscience program, enabling neurosurgeons at the Covington hospital to perform complex brain and spine surgery procedures, including some which may previously have been considered inoperable. St. Tammany by using advanced algorithms that automate the processing of MRI data. The neurosurgeon uses BrightMatter™ to map the best possible approach to the tumor, attempting to avoid damaging structures responsible for critical functions such as speech, movement, vision and memory. This functionality gives surgeons a dynamic 3D visualization of the brain that may allow for less invasive surgery and potentially safer surgical routes. For patients, less invasive procedures may lead to reduced complications and faster recovery times. Modus V, the newest system to be integrated at St. Tammany, is an automated robotic arm with high-powered digital microscope that provides an unprecedented view of patient anatomy. Using the most powerful optics available on the market today and robotic technology originally developed for the International Space Station, Modus V™ allows surgeons to perform less invasive procedures with more precision. In some cranial cases, it may allow surgeries that were previously deemed inoperable. 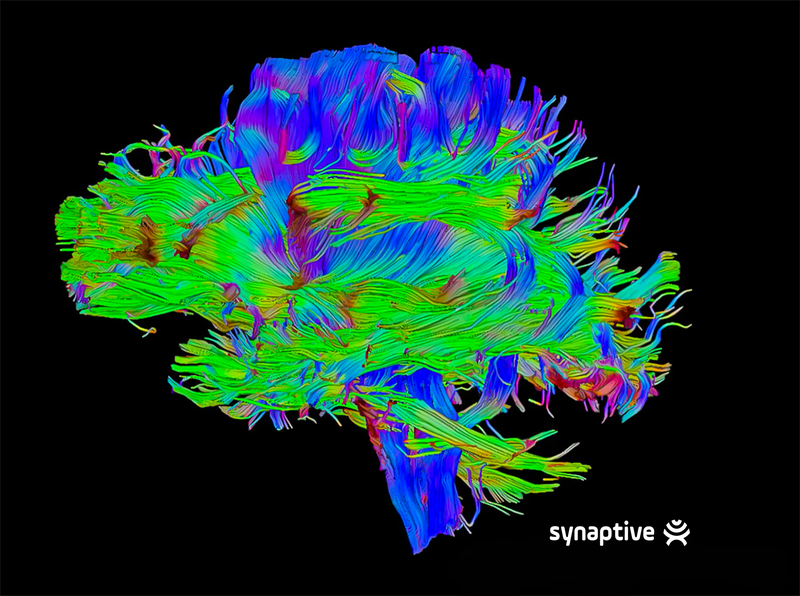 “Synaptive’s BrightMatter works in concert with navigated surgical tools and Modus V to deliver the surgeon the best possible visualization and the most direct route to remove the tumor,” explained STPH Director of Surgical Services Nancy Ledet RN. For patients who are scheduled to have minimally invasive spine surgery at St. Tammany Parish Hospital, the neurosurgeon uses Modus V™ to visualize the soft tissue during decompression to ensure nerve roots are completely free from pressure. This results in very small incisions, exceptional outcomes and reduced recovery times. Patients and families with brain or spine concerns should consult the Ochsner Neuroscience Institute in Covington for more information at 985-875-2828. A full-service acute care facility committed to providing world-class healthcare and the latest technology, St. Tammany Parish Hospital delivers today’s life-improving procedures with the utmost care to area residents with emphasis on wellness, preventive care and disease management close to home. STPH is recognized for quality, safety and the patient experience by CareChex, Leapfrog, Healthgrades, Hospital Compare, Women’s Choice and US News & World Report. St. Tammany Parish Hospital is an independent service district in a clinically integrated partnership with Ochsner Health System. Together, the two organizations focus on aligning their healthcare offerings to best serve patients and families in west St. Tammany and surrounding areas. Under their agreement, the two organizations retain their autonomy; neither partner manages nor owns the other. STPH is a self-supporting not-for-profit community hospital; it receives no tax funding. Learn more at stph.org. Synaptive Medical Inc., a Toronto-based medical device and technology company, designs hardware and software that cross traditional barriers in hospitals and improve patient care delivery in and beyond the operating room. Synaptive’s Modus V™ and integrated BrightMatter™ solutions—including surgical planning, navigation and visualization, and an informatics platform—give leading clinicians and healthcare systems the right information they need to ensure the best possible outcomes for patients.